We all know that it’s important to get a sufficient amount of sleep each night. Sleep is fantastic for boosting your mood, help you feel refreshed and can make your skin and eyes look better. But it’s benefits actually go a lot further than that. Having a good night’s sleep is a key part of having a healthy lifestyle. As well as being fantastic for maintaining your body, Sleep can also give you many other health benefits. So here are just a couple of examples of how getting a good night’s sleep can improve your health. People who sleep more tend to find it easier to lose more weight than people who don’t. This is because metabolism and sleep are controlled by the same part of the brain. Sleep can also help you maintain a healthy waistline as it has also been discovered that people often feel more hungry when they get less sleep. So if you’re thinking of starting a diet, having an early bedtime may curb your cravings and stop you from overeating. Try to plan a healthy bedtime schedule so you get at least eight hours sleep per night and stick to it. Also, try to avoid sugary snacks and caffeinated drinks that can keep you awake for longer. Stress can dramatically affect your organs, raise your blood pressure and put a strain on your cardiovascular system. Stress can also affect your cholesterol levels which over time could increase your chances of having a heart attack or stroke. Having plenty of rest can relieve your stress and help you take back control of your blood pressure and cholesterol. It can also reduce the chances of you developing depression and anxiety. Sometimes it can be difficult get to sleep when you are feeling overly stressed out. So to achieve an inner bliss, turn off all of your electronics before getting into bed to avoid stimulating your brain further. Also transform your bedroom into a tranquil and relaxing space by using incense sticks and calming colours and music. As we age, we can often develop inflammation in our joints and muscles. This can be linked to a number of health issues such as heart disease, arthritis and diabetes. Research indicates that people who don’t get enough sleep each night can have more severe inflammation symptoms than those who do. 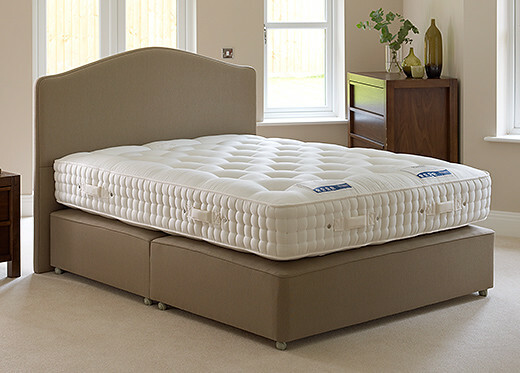 If you suffer from back pain or joint pains caused by inflammation, you may need to change your mattress. Your current mattress may be too hard and lack support for your back and joints. So you may benefit for investing in a John Ryan by Design Latex mattress instead. Always ask your doctor for guidance and try your mattress before you buy. These are just a couple of the many health benefits that a good night’s sleep can give to you. The more sleep you get, the better you will feel and the healthier your body and mind will become. You’ll never take sleeping for granted again.